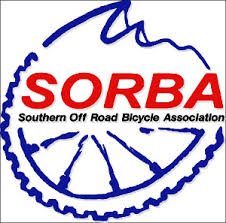 Northeast Georgia SORBA - White County User Group is holding its monthly meeting at 6:00 p.m. Tuesday, April 7, 2015. Join us from 6:00 - 7:30 p.m. at The Mauney Building, Suite 150, 1241 Helen Highway in Cleveland, Georgia. Come meet your fellow mountain biking enthusiasts, right here in White County! Discussion topics include: Upcoming mountain biking events; Yonah Preserve Trails; White County Family YMCA Family Fun Day; use of the new Tesnatee Creek Trail; trail work days; proposed projects and grant-writing; fundraising. The meeting is open to the public. We hope to see you there!